Is it time for Senior Homecare? Do you need Senior Home care in Barrie? IS IT TIME FOR PROFESSIONAL SENIOR HOME CARE? Is your parent or loved one having difficulties with managing activities of daily living? Activities of daily living (ADL) are those skills that are needed in order to live independently. These include dressing, shopping, cooking, doing laundry, grooming, managing medications, managing home maintenance, cleaning, and so on. You may have noticed difficulties with some of these skills and not others. The more ADL skills that are lacking, the greater the need for senior home care help. Does your loved one have a worsening chronic health condition due to his own mismanagement? Chronic conditions such as high blood pressure, diabetes, COPD, etc. can become increasingly worse if your parent is unable to manage the condition in accordance with doctor’s instructions. A senior home care nurse can manage these conditions effectively by ensuring doctor directions are carefully followed. Can your parent or loved one manage their medication regime? You may believe your parent is unable to manage their medications. If their prescriptions have not been renewed in time or if they can’t remember if they took them, you should consider their ability to manage on their own. Memory issues will play a big part in their ability to adhere to a medication regime. It is often difficult to manage multiple medications. Most senior home care workers have experience with medication management and can ensure adherence to medication regimes. Are you able to be at your parents’ home regularly? Most people lead extremely busy lives. They work, have families, and are stretched in many directions. Life can be stressful. Add into the mix a parent who requires your care daily, for several hours. Adding care giving stress to your already busy day, doesn’t allow you to enjoy the time you do have with your parent. If you are feeling significant stress caring for your parent, you will want to consider professional senior home care. Is your parent lonely and isolated? If your parent says he is lonely, he is likely very lonely. Difficulties ambulating and getting out of the house contribute greatly to the isolation of seniors. For some seniors, a mere hour visit each day by a companionship worker, or even a companion therapy dog, can often ease loneliness. Check-in and companionship visits are common and very useful. Not only will your parent’s loneliness be eased, but you will also know that he is being visited and care needs attended to. This will ease your own concerns, especially when you can’t visit daily. Does your parent have a history of falls? Few things worry family members as much as their senior parent’s potential for a serious fall. Senior home care workers can spend time with your parent daily and take steps to minimize the risk of falls. No one can guarantee a fall won’t happen, even in a hospital setting, but minimizing the risk is key. In addition, many senior home care companies have nurses who can assess the risk of falls. Has your parent gained or lost a significant amount of weight? Barring any disease process, a weight loss or gain signals your parent’s inability to eat properly. Check the fridge. Is there food? Can your parent get out to shop? Does your parent remember how to cook? In some cases, seniors may forget to eat, especially when activity levels plummet. Other seniors may reach for the easiest item on the shelf, including chips and processed foods. Proper nutrition is essential to maintain health. A professional senior home care caregiver will make nutritious and tasty meals in your parent’s home. Many seniors claim they simply aren’t hungry. A good caregiver will be able to make food interesting and desirable to your parent. Does your parent smell bad? Lack of personal cleanliness is often the first sign that your parent is struggling alone at home. Sometimes seniors are afraid to get in and out of the tub or shower on their own. Lack of motivation to wash clothing or change clothing may occur. In some cases, seniors may forget to shower. Personal support workers are very experienced assisting with this activity of daily living. Many people find it embarrassing to let a family member help with their own personal care. That’s when it’s time to call upon a professional help them shower and manage their ADLs. Is your parent or loved one indicating that they need more help? Often seniors are up-front and tell us they need more help around the house. If you are unable to perform tasks on a regular basis for them, listen to their wishes. Professional senior home care is usually a relief for the senior. Is your parent’s house in shambles? Are there expired items in the fridge? Is the house unkempt with items littering the floor? Are batteries in smoke detectors old? If so, then the safety of your parent is at risk. With age, eyesight is not as good. Feet shuffle along the floor instead of lifting off the ground. Attention and judgment is often reduced. These things all contribute to risks for your parent. Risks of falls, risks of illness, risks of fire are potentially high. A professional senior home care provider can reduce these risks and provide you with a sense of relief. Want to Learn more about professional senior home care? 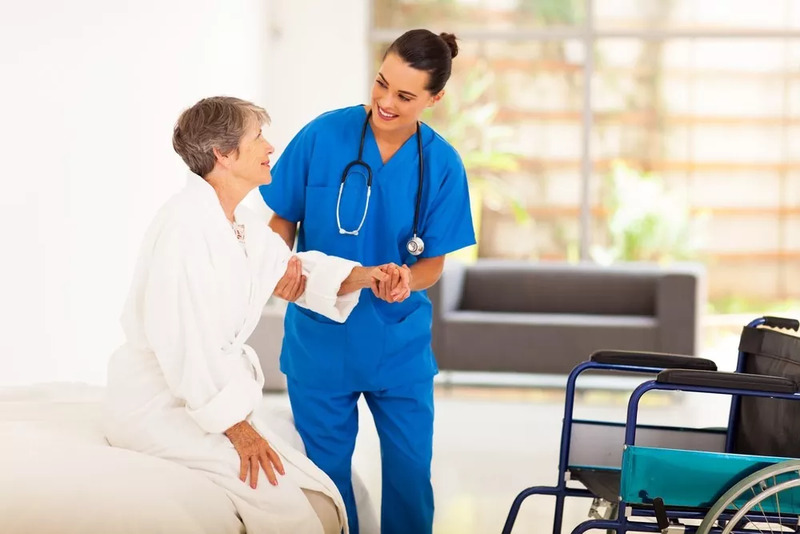 If you would like to discuss your own loved one’s circumstance to determine if it is time for professional senior homecare, call us at your convenience. 705-719-9000. Simcoe Senior Services provides quality home support for quality of life.